Hera Syndulla was the pilot of the Ghost in the TV series Star Wars Rebels and a General with the Rebel Alliance. Actress Vanessa Marshal voiced Hera in Star Wars Rebels and several episodes of Forces of Destiny. 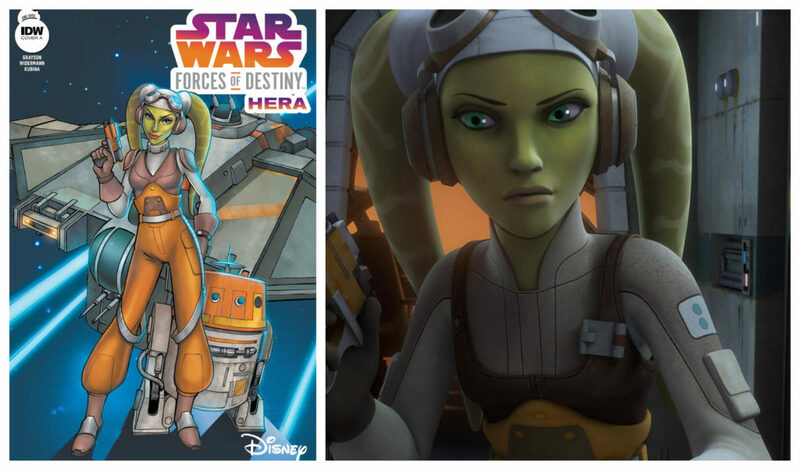 In addition to Star Wars Rebels and Forces of Destiny shorts, comics, and books there are many places you can find out more about Hera’s story. A few examples include the novel A New Dawn, the short story “Mercy Mission”, and issues of the comics Kanan, Doctor Aphra, Star Wars Adventures, and the main Star Wars comic. You can also find Hera in many episodes of LEGO Star Wars: The Freemaker Adventures. Here’s Hera in the Forces of Destiny short “Hasty Departure”.